What happened at the Nordhausen rocket factory? 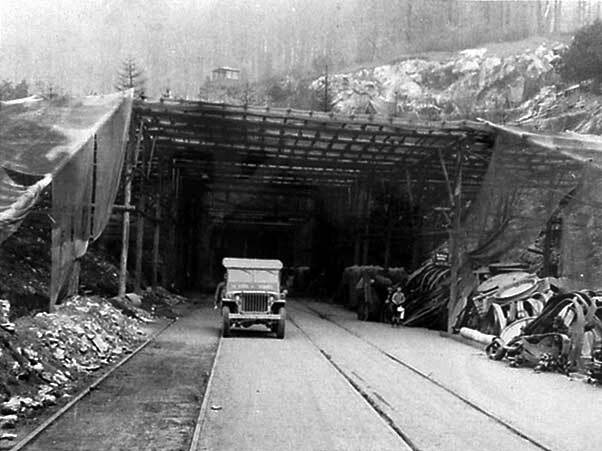 THERE is an original US Army press photograph showing the entrance to the [underground] V2 [missile] factory at Nordhausen after it was captured by the Americans. "When the American troops first entered, there were nearly 4,000 civilians living in the underground factory to escape Allied bombing of Nordhausen." This appears to fly in the face of previous evidence concerning Nordhausen. It strikes me that if this area had been the 'hell on earth' as described by various other historians (with dead bodies all over the place, rampant disease and poisonous fumes) would this number of civilians - or indeed any number - really have stayed around on a voluntary basis?